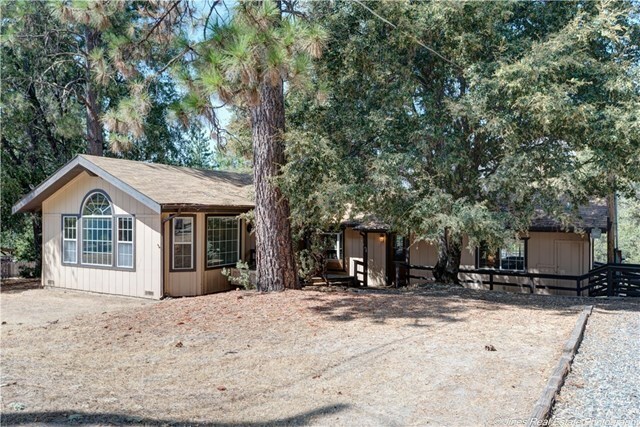 This cute cabin located in Cedar valley just north of Oakhurst on 2 acres can be yours to enjoy. It has two bedrooms and one bath AND a little guest house complete with an electric incinerating toilet. The vaulted living room has plenty of space as well as a large dining room. This cabin started out as a single wide mobile and it evolved into a very desirable living space. It is all sided, has dual windows, a composition roof and a large deck to enjoy the outdoors.